In May 2018, the U.S. Supreme Court did away with the Professional and Amateur Sports Protection Act. The act was put into effect in 1992 and was a federal regulation that limited sports gambling to the state of Nevada for the most part. Since the 2018 ruling, four more states – Mississippi, New Jersey, Delaware, and West Virginia – began taking bets. Rhode Island and Pennsylvania will likely be next in line to open sports books. In the next few years, experts predict that over twenty-five states will provide lawful betting. This will include online gambling in some areas. 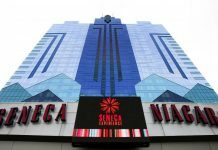 The United States is in the primary stages of building what has been called the world’s biggest legal sports gambling market. The new market could generate hundreds of billions in bets once it’s mature. However, everyone isn’t excited about the changes. 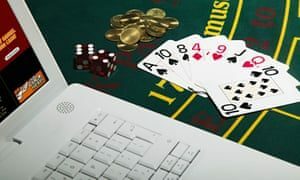 Problem or compulsive gamblers, as well as the service that could assist them are concerned about the introduction of more gambling opportunities. Groups opposed to gambling also worry it may be more difficult for problem gamblers to control their addictions. However, many of these groups aren’t being heard because more states are excited about the revenue that comes from opening sports books. Gambling addiction is often viewed as a moral issue. 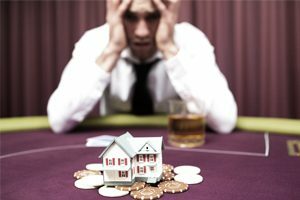 People who don’t suffer from the addiction think compulsive gambling is simply a result of poor choices and not connected to the addict’s mental makeup. Experts in the field confirm problem gamblers do indeed have brains that function differently. About 5.4 million Americans struggle with an addiction to gambling. This information comes from the National Council on Problem Gambling. However, 20 percent of American states don’t allocate funds to treat gambling addiction. $24.4 billion in federal and state monies were dedicated to the treatment of alcohol and drug addiction in 2016. But only $73 million was set aside for gambling addiction treatment. 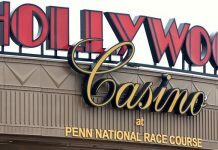 None of the funds to help problem gamblers came from the federal government, according to Problem Gambling Solutions Inc., it is believed there are about four times as many U.S. citizens with a substance abuse problem than there are with a gambling problem. However, treatment for substance abuse gets an astounding 330 percent more funding. Although there are more states adding sports betting to their lists of legal activities, sports leagues and gaming operators are figuring out how to divide the funds. However, many think there are significant risks involved in legalizing sports betting. Many of these risks are being ignored. Even though Brian Hatch was aware of his financial situation, the prostitute that followed him to his hotel room wasn’t. After a night of partying and gambling in Las Vegas, Hatch was going from the Bellagio to his hotel room at the Flamingo. He’d just spent $8,000 on the slots at the Bellagio and only had $200 to his name. Hatch was a gambling addict and suffered from depression. The prostitute was likely fascinated by his big spending habits. At this point in Hatch’s life, he was too depressed to turn her away. He rationalized that he would let her come to his room and hang out. He wasn’t thinking clearly and felt he didn’t have anything (else) to lose. However, the prostitute ended up incurring a huge bill for Hatch when, according to Hatch, “She drank all the vodka in the minibar.” He said that was the last time he gambled. Brian Hatch’s story, or a variation of it, is more common than people realize. Hatch is among the 5.45 million individuals living in the United States who are problem gamblers. This is close to the number of people in the U.S. with Alzheimer’s. Hatch admits when he was focused on gambling, he couldn’t stop himself without help. With this information in mind, more states will hopefully adopt more problem gambling programs and initiatives to give addicts the help they need.